The recommended approaches for using Twitter must ultimately be tied into an overarching campaign that seeks to undermine extremism. Because the U.S. government is unlikely a credible messenger among the populations that are most at risk of radicalization and recruitment, working with influential Twitter users can help create authentic counter-ISIS messaging. The messages provide distinct content that resonates with the issues that various communities face. Using data-driven market segmentation and analysis, organizations can listen to and learn from the existing ISIS opposition to create more effective countermessages. 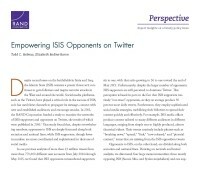 The approaches for using Twitter must ultimately be tied to an overarching campaign that seeks to undermine extremism. Organizations can use data-driven market segmentation and analysis to listen to and learn from the existing ISIS opposition to create more effective countermessages. Countermessaging strategies and specific efforts should be analyzed to measure impact and modify approaches as needed. Elizabeth Bodine-Baron @bodinebaron, Todd C. Helmus @Helmus, et al. This RAND-initiated research was conducted within RAND's Center for Middle East Public Policy. 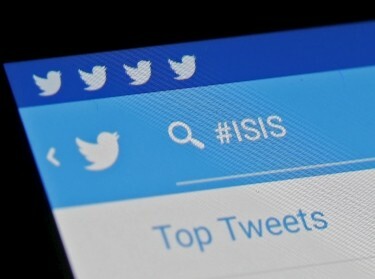 Helmus, Todd C. and Elizabeth Bodine-Baron, Empowering ISIS Opponents on Twitter. Santa Monica, CA: RAND Corporation, 2017. https://www.rand.org/pubs/perspectives/PE227.html.